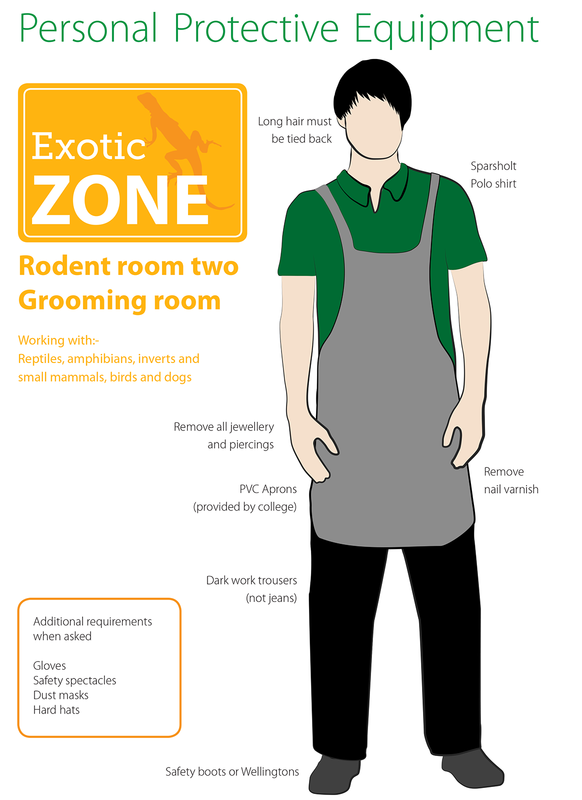 Each subject area has its own requirements for clothing and personal protective equipment that must be worn. Please select your subject area below for information on the items you need to obtain. 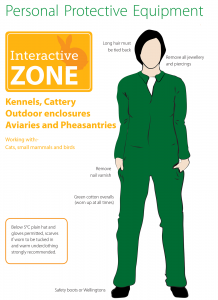 Click on the images above to enlarge – you will require different Personal Protective Equipment for each zone at the Animal Management Centre. 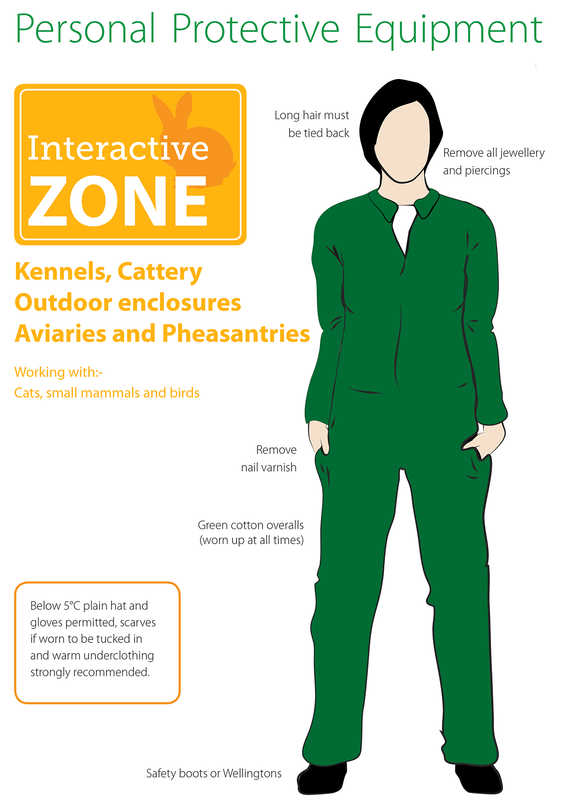 It is mandatory under Health and Safety protocols that you wear appropriate Personal Protective Equipment (PPE) at ALL times when working with the animals, to protect both you and them! Failure to comply with the rules on PPE will mean that you will NOT be able to participate in your practical session, which will seriously affect your grades. Jewellery and piercings must also be removed; long hair tied back and nail varnish removed. Wedding or engagement rings can remain on if difficult to remove, and a watch (preferably with a Velcro strap) can be worn. 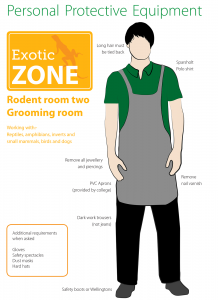 Students are expected to change into the required clothing on the unit, and remove them before leaving the unit. 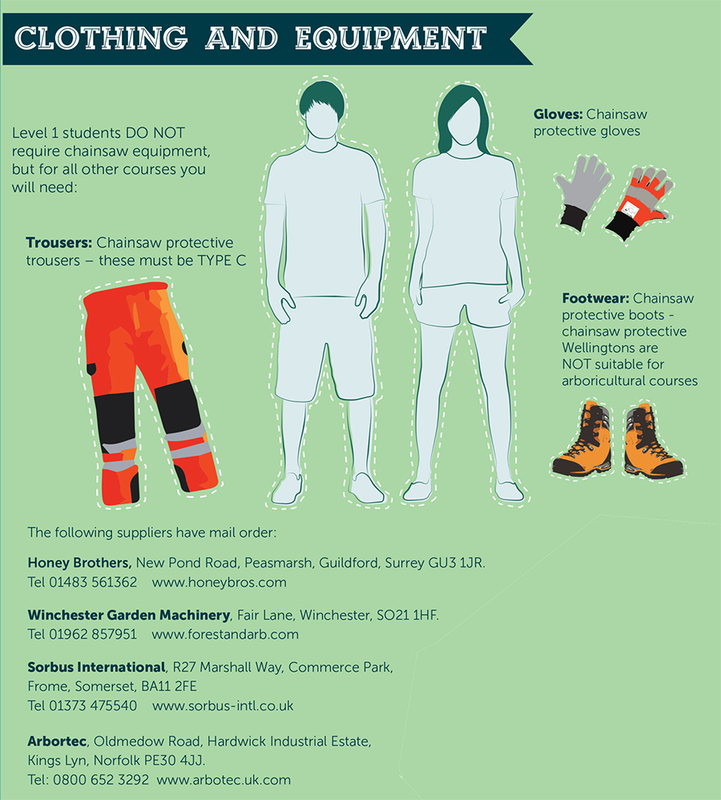 Please ensure that your PPE is regularly washed at high temperatures. It is essential that you do NOT wear any outer clothing that may have been contaminated; for this reason, students are NOT allowed to bring coats into the AMC. Waterproof coats are provided by us if necessary. NB: For all courses one pair of steel toe-capped wellingtons can replace the need for both wellington boots and work boots. To celebrate our status at University Centre Sparsholt, HE Equine students now have the opportunity to purchase a new, branded “University Centre Sparsholt Equine” uniform in our purple livery. If you are a returning FE student from Sparsholt College, you will still be able to wear your FE Equine Centre uniform if you wish, however you are encouraged to purchase at least some of the new HE uniform as it will support your new status as undergraduate students. 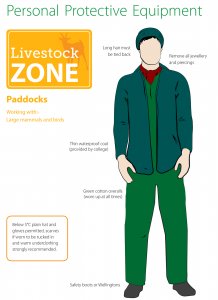 Please also note that the Equine Centre policy is that all students using the Equine Centre for riding or any other activity are wearing the appropriate uniform, be that FE or HE. Please note: all Equine Higher Education sweatshirts, polo shirts and jackets are available for purchase online from Creative Images here . A pen, pencil, folder and paper etc. Level 2 Diploma students will need heavy duty work gloves. Stationery: Lever arch file, paper, pens, pencils, eraser, pencil sharpener, 50 x see-through plastic wallets for A4 paper for assignment submission etc. Payment should be made to Student Services after arrival; the deposits are returnable if conditions are met.